Mandatory shot of the Taj Mahal. It was a pity that restoration works were ongoing during the time we visited. We had to check out of the hotel by 6:30am (the earliest I have every had to wake up in a long long while) and by the time our group was finished with checking out from Crowne Plaza Gurgaon, New Delhi, we left towards our destination at around 8 in the morning still a little blurry eyed. 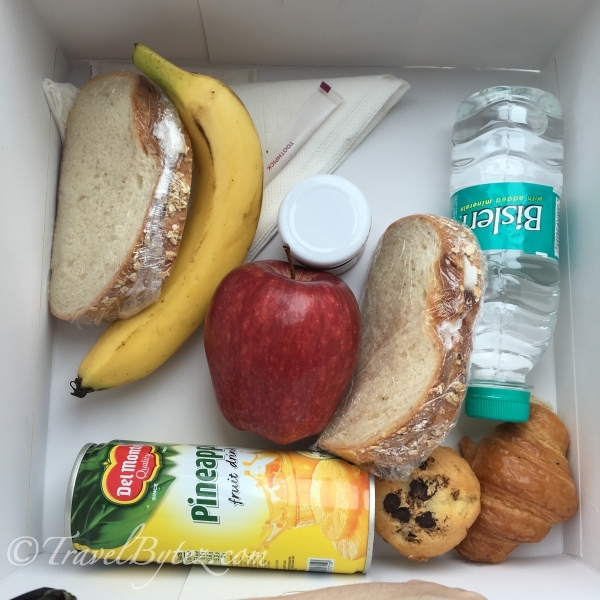 Breakfast was prepared by the hotel and quite scrumptious: chicken sandwiches, ketchup in bottle, fruits, a bottle of water and a can of pineapple juice; making for a good brunch and providing the energy for Taj Mahal! 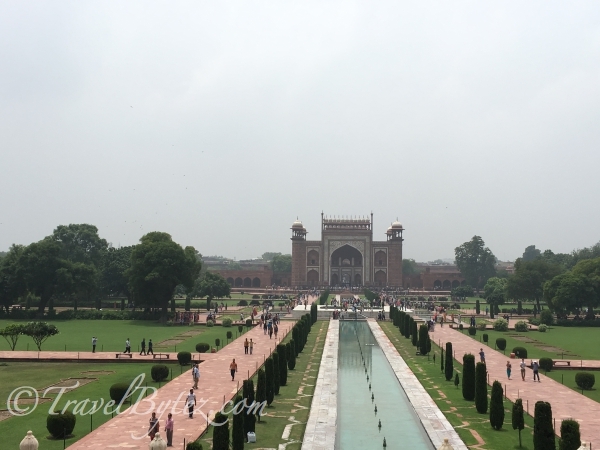 From Garguon, it took us about 2-3 hours away to travel to the Taj Mahal, which is located in Agra, New Delhi. It was an interesting bus ride as we navigated amidst the hustle and bustle of weekend Indian life on the busy and somewhat chaotic streets with the occasional cow or two. 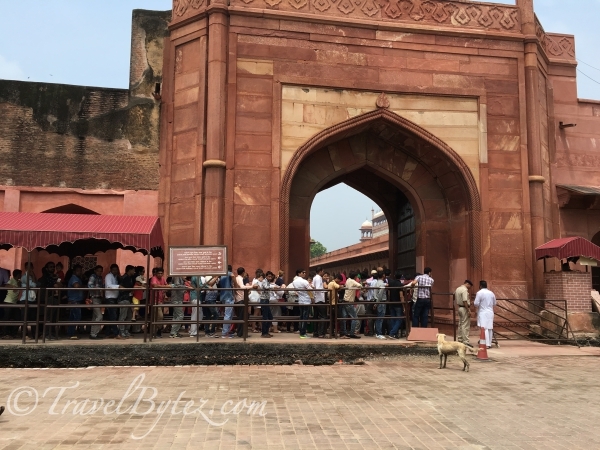 By the time we arrived at the Taj Mahal gates, it was already about 1 in the afternoon. 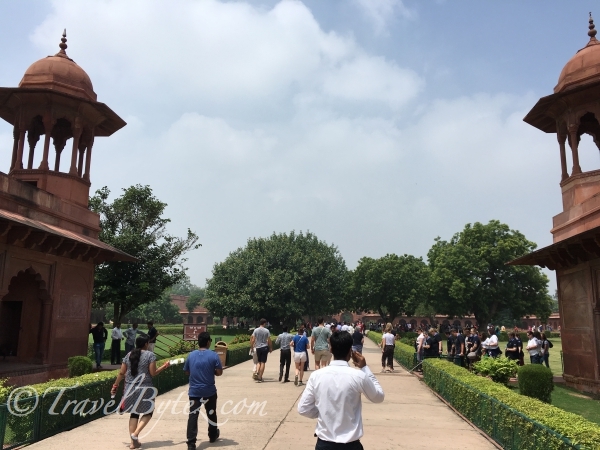 The bus was parked some distance away from the entrance so as the preserve the pathway that leads up to the Taj Mahal. 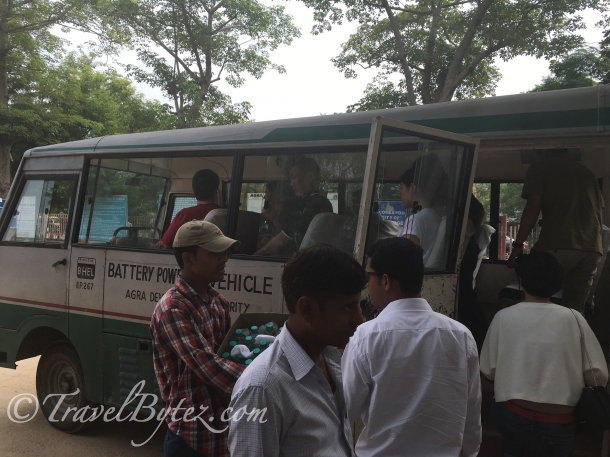 The moment we got off the bus, we were bombarded by touts eager to sell their wares to tourists. If you are not interested, just ignore them and walk away. Once you start giving them any attention, a whole bunch of them will descend upon you in a somewhat aggressive manner. 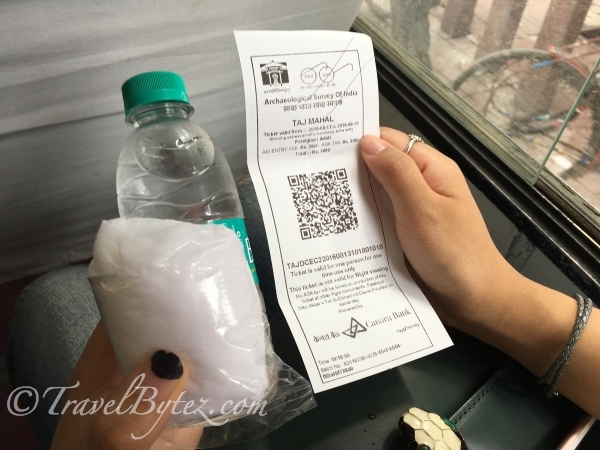 One we escaped passed the touts, we were ushered into a mini bus and handed out the shoe covers and a small bottle of water. We were alighted some distance away from the entrance. The pathway was undergoing construction at the time so there was plenty of dust in the air. There were also horse carts at the sides available for hire. The horses seemed overworked and tired (poor horses). Note: No other food or drinks are allowed into Taj Mahal. Big bags (haversacks / backpacks) are also not allowed. Fact: There are separate queues for both locals and tourists, and both males and females have their own lines. 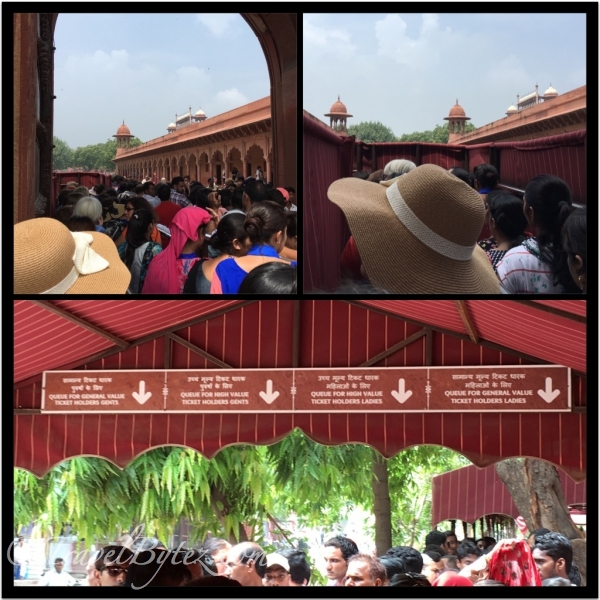 So in total there were 4 queues ongoing at the same time with crowds of people waiting to enter the Taj Mahal. The snaking long queue in the heat! The queues for locals (males and females) and tourists (males and females) - 4 of them. Once the queue has reached the entrance, you are then checked by security. They literally take out everything in your bag to ‘check’ and open every pouch or wallet, item by item, which totally defeats the purpose of having to place the bag through the scanner in the first place. 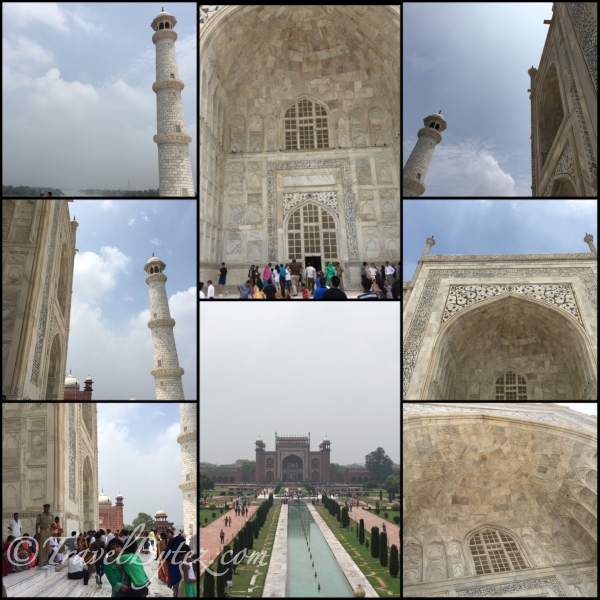 Our guide was an interesting one as he shared with us some stories of the Taj Mahal and the history behind it. The Taj Mahal was built out of a king’s love for his favorite wife (who died when she was giving birth to their 14th child). It consists of a mosque and a guest house which is an exact replica of the mosque, with gardens between them. 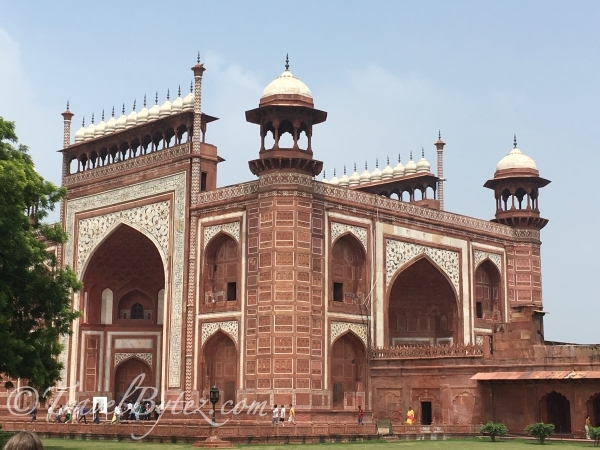 The Taj Mahal also contains a mausoleum, where the king and his favorite wife are buried, courtesy of the king’s son (I am assuming he is the child of another wife perhaps?). But of course, not without first deposing of his father as king and placing him under house arrest till his last breath, with a view of the majestic resting place he had constructed for his wife. It kind of makes you wonder how upset the son was with his father to do this to him, or how much the father neglected the son (or the son's mother) all in favor of a 'favorite'. I guess that is what happens when you have too many wives and children, and you just happen to favor one out of the rest - a recipe for drama, especially when there is a throne (power and glory) at stake. To have created such a magnificent piece of architecture, but to have ended life in such a way... was it truly worth it? Drama aside, the Taj Mahal is designated as a UNESCO World Heritage Site (1983) and is known as the "the jewel of Muslim art in India", where symmetry plays a major role in its architecture. 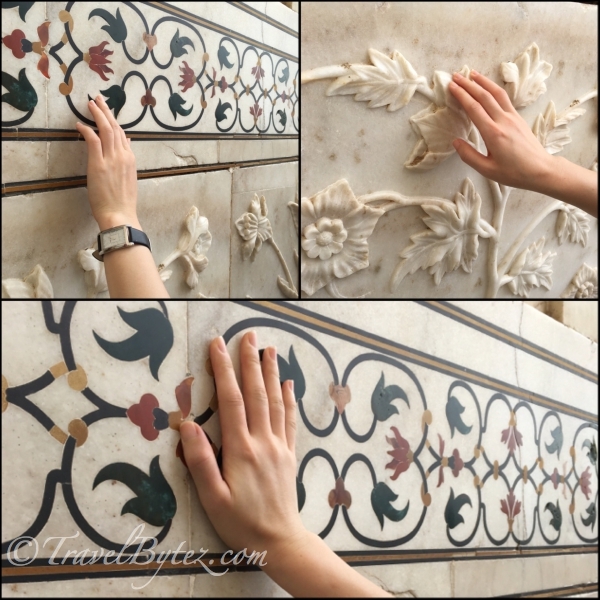 The materials used to build the Taj Mahal are also very delicately crafted into the architecture. 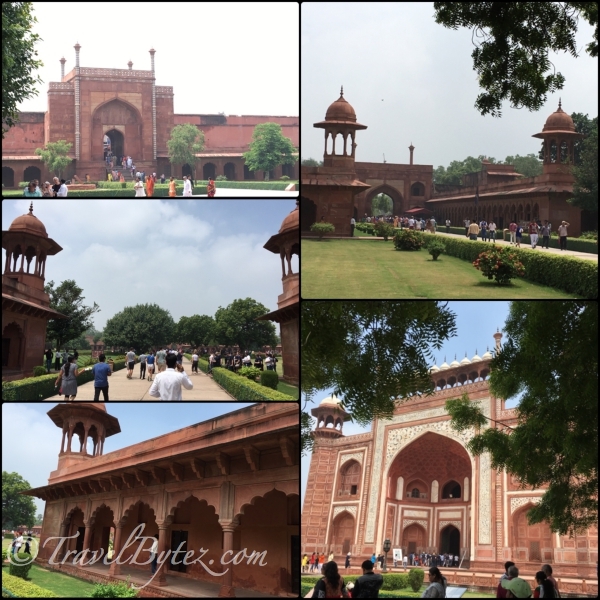 So if you ever happen to be in Agra (New Delhi) and want a slice of history, you should visit this marvel of a building. 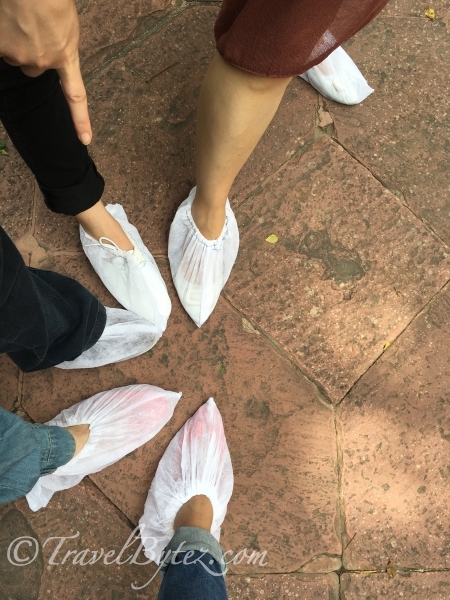 Shoe covers - checked! 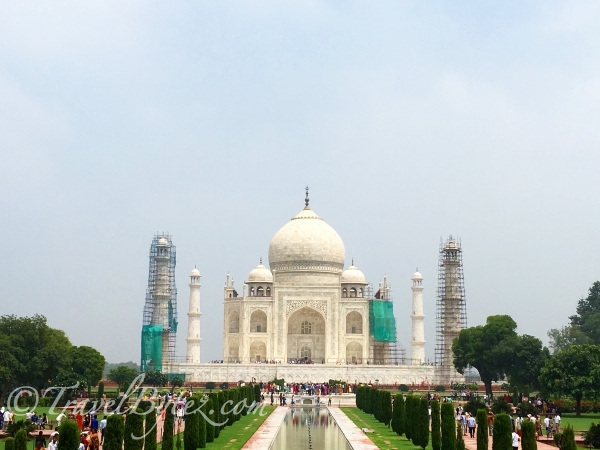 Ok, on towards the Taj Mahal! Verses from the Quran were inscribed in calligraphy on the arched entrances to the mausoleum and other sections of the building. The mausoleum is made out of white marble inlaid with semi-precious stones such as jade, crystal, lapis lazuli, amethyst and turquoise.